FranÃ§ois Couperin's contribution to the literature of baroque keyboard music has long been recognized. 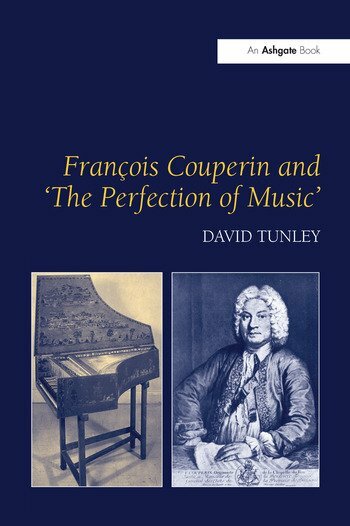 FranÃ§ois Couperin and 'The Perfection of Music' updates and expands upon David Tunley's valuable 1982 BBC Music Guide to the composer, and examines the whole of Couperin’s output including the organ masses, motets and chamber music, in addition to the well-known works for harpsichord. Taking as its focal point Couperin's concept of the perfection of music through the union of the French and Italian styles, this book takes a more analytical approach to Couperin's work. Early chapters outline the main contrasting features of the two schools in the seventeenth- and early eighteenth-centuries, and it becomes clear that Couperin's expressive power owed much to his fusion of the polarities of the French classical tradition with that of the Italian baroque. The book features a number of appendices, including the prefaces to Couperin's work both in the original French and in English translation, and a glossary of dances of the French baroque. David Tunley is Emeritus Professor in the Department of Music at the University of Western Australia, Perth, Australia.